Original Vintage Theater-Used 8" x 10" [20 x 25 cm] Movie Still. N10 Condition: Excellent (C8) See our 10 GRADE SYSTEM Page for more information. 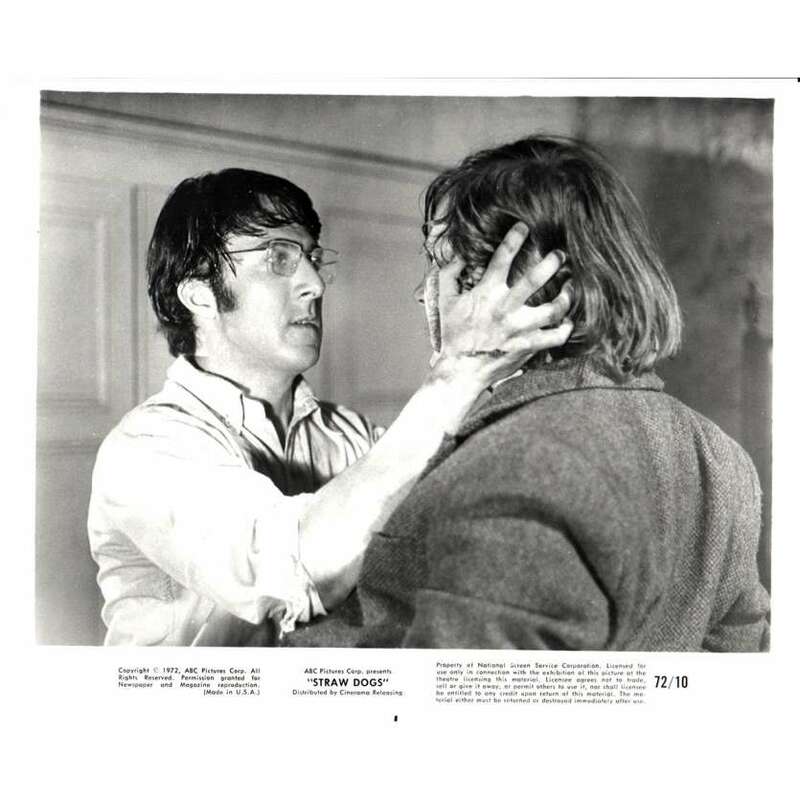 Straw Dogs is a 1971 psychological thriller directed by Sam Peckinpah and starring Dustin Hoffman and Susan George. The screenplay by Peckinpah and David Zelag Goodman is based upon the 1969 novel The Siege of Trencher's Farm by Gordon Williams.The film's title derives from a discussion in the Tao Te Ching that likens the ancient Chinese ceremonial straw dog to forms without substance.